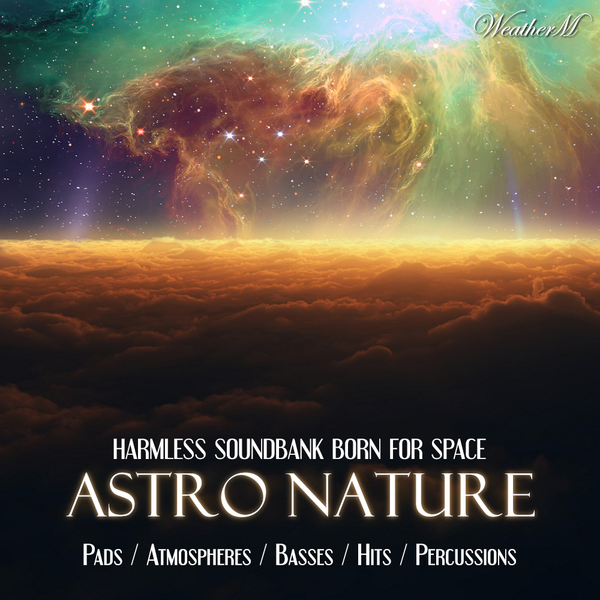 Last year, Astro Nature were born for space sounds. Now 1 year later, here comes a new Astro Nature! New Astro Nature comes with 85 sounds inspired from huge universe. Basses, sometimes hard and sometimes soft. Hit sounds inspired by atmospheres. They will support the pads and atmospheres, which will serve as the main sound sources of Astro Nature. This is a ticket for a ride that will guide you towards the huge universe. Some people say that the sound of Harmless isn't interesting, but their opinion will change at the moment they meet Astro Nature. - Will be sold at a higher price (just a little bit!). - 55 new sounds, Astro Nature will now come with a total of 85 sounds. - Some old sounds were modified a little bit. - All sounds are categorized under Pad / Atmosphere / Bass / Swell / Hit / Percussion.